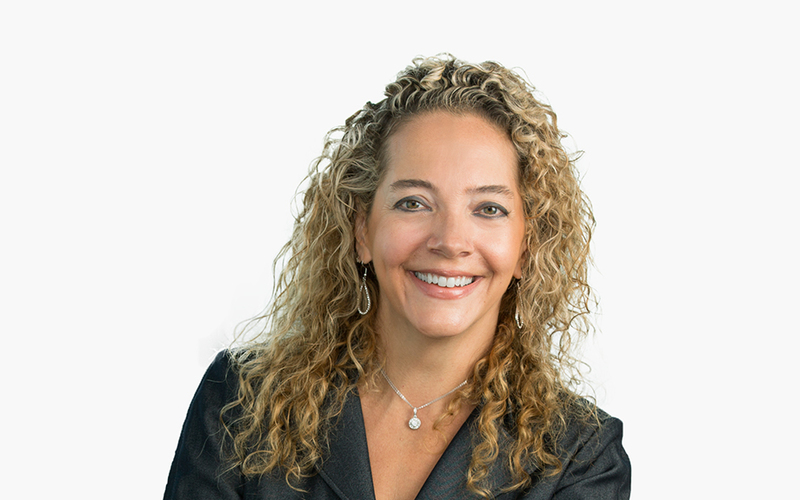 Christina (Tina) L. Martini focuses her practice on domestic and international trademark and copyright law, as well as domain name, Internet, social media, advertising, unfair competition and entertainment law. She has extensive experience in counseling, prosecution, enforcement, due diligence and licensing matters. She successfully assists clients in protecting their intellectual property rights through litigation and other means, including the courts and uniform dispute resolution procedures. Tina’s experience reaches across a wide variety of business sectors, including the pharmaceutical/life sciences sector, food and beverage industry, housewares, apparel, energy, agriculture, consulting, restaurant, franchising, advertising, real estate and financial services. Tina advises clients in the areas of brand development and management. She works closely with clients from the beginning stages of product development and provides strategic advice in searching and filing for brand names domestically and internationally. She creates global filing strategies to maximize clients’ protection of their valuable brands in a streamlined, cost-effective way, and manages the global registration, maintenance, enforcement, licensing and disposition of those rights. Tina also advises clients regarding website domain name, social media and online advertising strategy and enforcement. She creates and implements intellectual property policies and process plans which are specifically tailored to meet clients’ legal and business needs. In addition, Tina has extensive experience in negotiating and drafting a wide variety of agreements which address various intellectual property rights. She has also been instrumental in numerous litigation successes in federal and state courts, and in domain name proceedings before various administrative organizations such as the World Intellectual Property Organization. Prior to joining the Firm, Tina was a partner at an AmLaw 100 global firm where she practiced for nearly 25 years. She held a number of key leadership roles, including serving as the firm’s National Hiring Partner-Associate Recruiting, sitting on the firm’s Executive and Policy Committees, serving as chair of the Chicago Intellectual Property Practice and serving on its Diversity and Inclusion Steering Committee, among other roles. Tina is the co-host of the WGN Radio show Legal Face-Off, one of the nation’s premier legal programs. She is also the host and producer of the weekly legal podcast Paradigm Shift, where she explores the business context, which drives both the legal profession and business landscape. Tina is a frequent speaker and author on a myriad of topics impacting both the legal and business landscapes. Additionally, Tina is a regular columnist for the Chicago Lawyer and the Chicago Daily Law Bulletin. Tina has received numerous accolades during her professional career. In 2017, Crain’s Chicago Business named Tina as one of Chicago’s Most Influential Minority Lawyers. The inaugural list honors 45 of Chicago’s leading diverse attorneys for their profound impact on the Chicagoland community and the legal profession. Tina was specifically recognized for her outstanding professional accomplishments, strong leadership and tireless commitment to improving opportunities for women and diverse lawyers. In 2017, Tina was named to the inaugural list of Acritas Stars, which is a source of highly recommended lawyers that is a result of a survey of more than 3,000 senior in-house counsel globally. Four core attributes that were repeatedly expressed as distinguishing features for Acritas Stars lawyers include: being experts in their field; responsive; pragmatic; adept at building rapport with clients; approachable; and business-minded. In 2017, Tina was one of four recipients of the Anti-Defamation League’s (ADL) Women of Achievement Award. Presented each year by the Greater Chicago / Upper Midwest Regional Chapter of the ADL, the award recognizes women who are outstanding in their respective fields and embody the spirit and philosophy of ADL through efforts to improve communication and understanding among Chicago’s diverse, racial, religious and ethnic communities. Past recipients include Valerie Jarrett, senior adviser to former President Barack Obama; Lynn Martin, former US Secretary of Labor; Andrea Zopp, former CEO and president of the Chicago Urban League; and many other general counsel and executives of Fortune 100 companies and leading professional services firms. For many years, Tina has been rated AV Preeminent by Martindale-Hubbell, based on peer and client reviews and surveys. In addition, she has been selected as one of America’s leading intellectual property lawyers by Chambers & Partners, a respected English research firm. Chambers & Partners has stated that Tina “focuses on international trademark and copyright law, with a respected track record relating to the internet and entertainment law.” Clients have praised her in Chambers USA for her background in industrial engineering, which gives her the “extraordinary ability to produce appropriate analysis for any situation and offer outstanding solutions to the client’s varied and complex legal needs.” She “provides excellent client service,” is “a joy to work with,” is “skilled, intelligent and business-savvy,” has “tremendous enthusiasm, passion, diligence and attention to detail,” and “ensures that she is providing what a client needs.” Clients have also said: “She is exceptional. Serious, strategic and highly intelligent. She is sensitive to our business needs and very commercially minded.” The directory has further noted that she “assesses risk not just from a textbook legal perspective, but also in a way that can be communicated to business leaders.” She is also recognized for her “strategic vision,” being “very good at giving advice from a 10,000 foot macro level.” Clients also say Tina has “excellent client service skills and is devoted to ensuring that all needs and objectives are satisfied,” and she has been praised for her “exceptional sense of responsibility to her clients.” “One source said: ‘If I had a trademark prosecution issue I would hire her in a second. '” She has also been repeatedly recommended by The Legal 500 United States. In 2014, Managing Intellectual Property, a leading global news and analysis publication, included Tina in its list of “IP Stars – Top 250 Women in IP.” Practitioners are chosen as “the best of the best in their field” following extensive client case research and over 1,000 peer interviews and surveys conducted by the publication’s editorial team. Tina is one of only 165 lawyers named to the 2010 BTI Client Service All-Star Team for Law Firms, which recognizes lawyers who “top the charts in client service excellence” and “have packaged proactive outreach, counseling and a healthy dose of practicality with their deep understanding of their clients’ business.” Lawyers appear on the list only if they are named by clients in an unprompted manner through BTI’s research. The rankings are driven solely by feedback received directly from corporate counsel from large and Fortune 1000 companies. In 2013, Tina was named a Fellow of The American Bar Foundation, which is an organization dedicated to advancing justice through research on the law, its processes and its impact on society. Tina has also been designated an Illinois Super Lawyer, as the result of research projects conducted jointly by Law & Politics and Chicago magazines. She is the recipient of Lawyer Monthly magazine’s “Women in Law 2016 Award,” and has also been recognized in The Best Lawyers in America, Chicago’s Best Lawyers, Chicago Tribune’s Best Lawyers in Illinois, Euromoney’s Trade Mark Expert Guide, Guide to the World’s Leading Trademark Law Practitioners and Guide to the World’s Leading Women in Business Law, Corporate LiveWire’s Best in Trademark Law Services and M&A Awards, Legal Leader’s Chicago’s Top Rated Lawyers and by American Registry in its list of America’s Most Honored Professionals and Top Attorneys in Illinois. In 2013, the Chicago Daily Law Bulletin featured Tina in the profile “A Seat at the Table,” where she discussed her various leadership roles and career. In 2013, Chicago Lawyer magazine featured Tina in its “Checking in on the ‘Next Generation of Law Firm Leaders. '” This article was a follow up to the magazine’s 2009 cover story about Tina as one of a small group of “leaders of the future” who “go above and beyond practicing law because they care about what their firm looks like today and will look like in the future.” In the 2013 update, Tina reflects on the developments in her career over the past several years, along with the changes in the industry and how previous predictions about the future of law compare to how things are today. Tina is committed to making a positive difference in the careers and lives of others. She has served on the Board of Directors of the Better Government Association and the University of Illinois Campus Alumni Advisory Board. She has also served as a board member of the Chicago Committee – Advancing Minority Attorneys/Transforming the Legal Profession and is on the Executive Board of Directors and Co-Founder of Hispanic Majority, an organization committed to supporting the next generation of Latino leadership. She is a member of the Chicago Committee on Women’s Initiatives in Law. Her extensive pro bono work has included co-chairing the International Trademark Association’s Saul Lefkowitz Moot Court Competition for the Midwest region.